I read somewhere that if you don't openly reveal your obsessions to everyone, you will get gifts of candles and bath products as presents at every opportunity. This is the problem my Mum faces, and if she is honest, she doesn't really like either. Luckily for me, her loss is my gain. It was her birthday a few days ago and she received a lot of bath and shower products as gifts. This is one of them. Enter the nSpa Pampering Bath Fizzer in Rose Aroma. I hadn't heard of either the brand or the product before but after a quick google I have learnt that nSpa create products especially to care for and to de-stress their busy purchasers. Their products are cheap and cheerful and are available exclusively at ASDA. 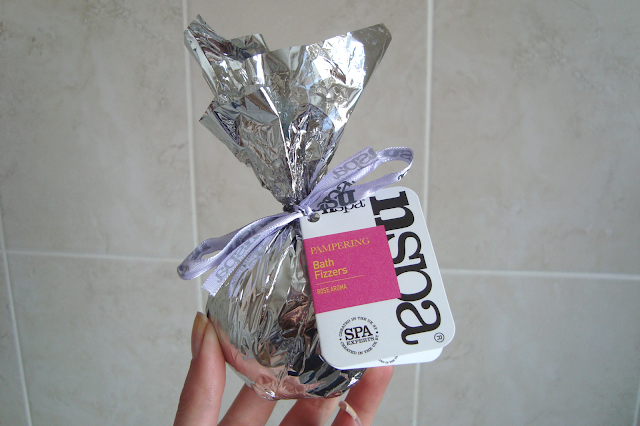 The nSpa Pampering Bath Fizzer is shaped like a giant gobstopper and wrapped in silver cellophane, tied together with a cute nSpa bow. When all of the packaging is removed the rose scent is evident straight away. It smells wonderfully light, just what you would expect from a bath fizzer that is created to de-stress and relax. Whilst I haven't used too many bath fizzers in my time, I was surprised at how..large it is. If I threw it, it would quite easily break a window or two! Because it is so large, there is no way to break it down so you could get a few uses out of it, you have to use it all. It does the job of a bath fizzer well. 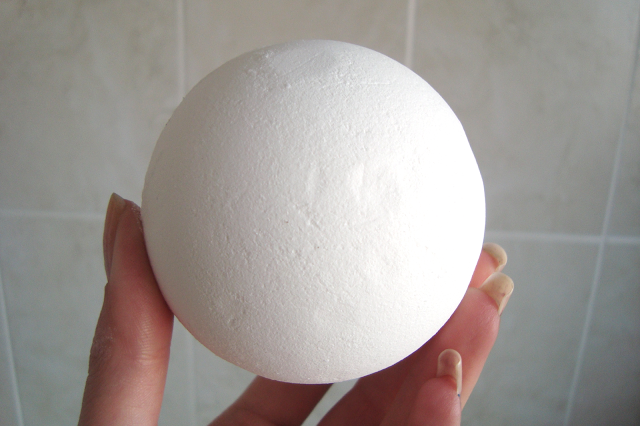 When put under hot water it fizzed and dissolved quickly, which is just what you would expect from a bath fizzer. When dissolved, the rose scent filled my bathroom and for half an hour I was whisked away to some nice, relaxing place a million miles away from real life. The rose scent lasted on the skin for an hour after I had got out of the bath which was nice but as bath products go, nothing spectacular happened. It did smell really good though! It took me a shockingly long amount of time to come up with five reasons to be happy. Even then I could only come up with one. The title to that was 'dogs exist'. When you have to write reasons to be happy it is hard. I found myself thinking "am I happy?" I am still unsure of my answer but writing the below really perked up my mood and has made me realise how lucky we are. How lucky we are to be able to experience life. If you have to teach yourself how to be happy then that is okay too. 1. There is more to life than this. Yesterday, something really upset me and I won't be ashamed to admit that I did have a little cry over it. Whilst it wasn't over a person and wasn't actually that much of a big deal, at the time it can be something massive to contend with and your mind blows it all out of proportion. But, in the long scheme of things, will life's little niggles matter this time next month? This time next year? Ten years from now? No, of course not. There is more to life than this. 2. We have the ability to change our life. The world is a big place. There is so much to see! If we wanted to, we could jump on the next plane and never come back. Isn't that exciting? We could quit our jobs tomorrow and train to be something else. Always wanted to be a train driver or cabin crew? Then go for it. I have always promised myself to never live my life by saying "what if?" What if I went to that job interview that pushed me out of my comfort zone? What if I applied for a job abroad? What if?? If something in your life is making you unhappy then you have the ability to change it. 3. You can make yourself be happy. Life lasts a long time and no-one gets out of it alive. Life is a long time to be unhappy. We have the ability to spread happiness if we want to, even if we ourselves are feeling a bit down in the dumps. It is all about the little things. The little things may be little, but they matter. 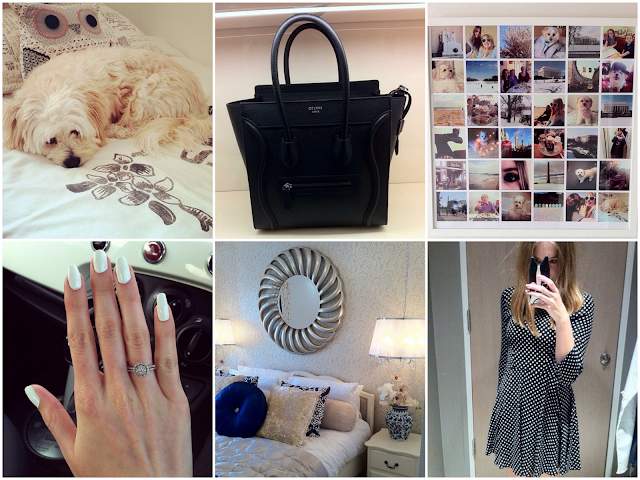 Cake, One Direction and my dog make me happy, as do photographs of puppies, posting photos on Instagram, handbags, make-up and writing blog posts. They are the little things but they impact on my mood and have the power to improve a crappy day. We all have some slightly odd things we enjoy, mine being One Direction, but I like them and will continue to like them as they make me happy and nothing anyone can say will change that. 4. We have a purpose. Whilst we may not be aware of it right now, we all have a purpose in life. It is a bit of a cliche I know, but we are all here for a reason. If you aren't aware of your purpose just yet, you can find it. We are all different and our paths in life all vary. You path in life may be to carry a child, be a florist or to serve for your country. Find your purpose. Once you have found it you can then decide how to reflect happiness through a chosen purpose. This is entirely obvious and perhaps predictable but it is something we should all be grateful for. We are alive. We have the abilities to do all of the above and we shouldn't take it for granted. We are lucky to be alive and to be able to experience the different emotions life throws at us. I have a whole list of MAC products that are on my 'to-buy' list. 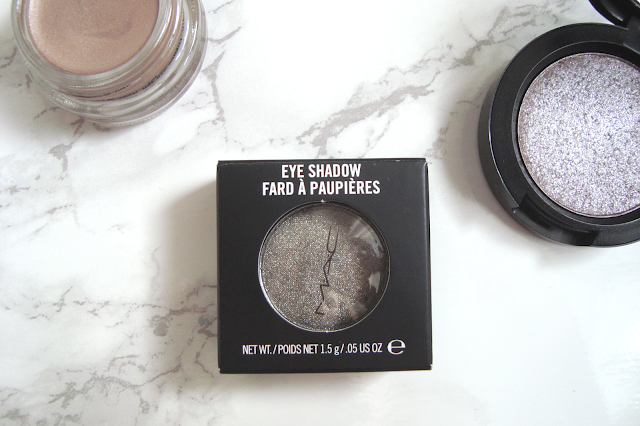 I'm talking Eyeshadows, Paint Pots, Blushers, Pressed Pigments... I am really slowly working my way through the list but this week I managed to cross off an item. 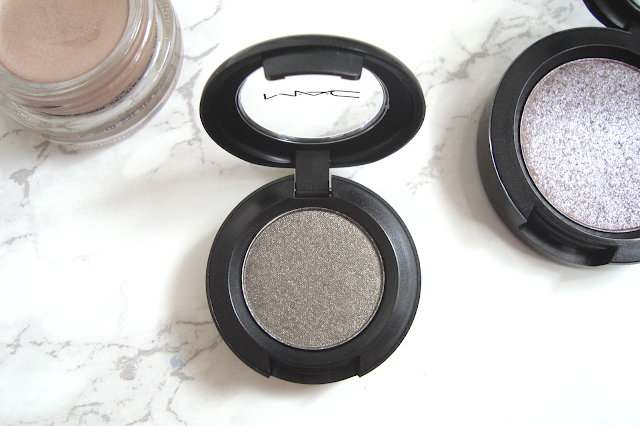 The MAC Eyeshadow in Greensmoke. Greensmoke is described as a "tarnished olive" on the website. 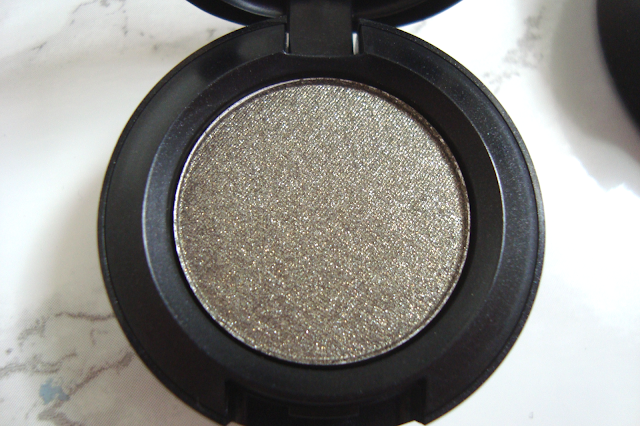 It is a really earthy, smokey green shade with a beautiful shimmer running throughout. It is a really wearable shade which really takes me out of my day-to-day eyeshadow comfort zone, leaving the neutral browns and taupes and favouring an earthy olive instead. I expected a bit of fallout from Greensmoke but I didn't have any at all. I applied using a flat synthetic brush but I think a fluffy brush would be more preferable as I found it a little hard to blend. I applied Greensmoke on top of my MAC Paint Pot in Painterly and it stayed put all day without smudging or creasing. I am really pleased with this eyeshadow as I didn't expect it to be so wearable for day-to-day wear but it is much more subtle than I expected it to be so I will definitely be wearing this a lot more than I thought I would do. 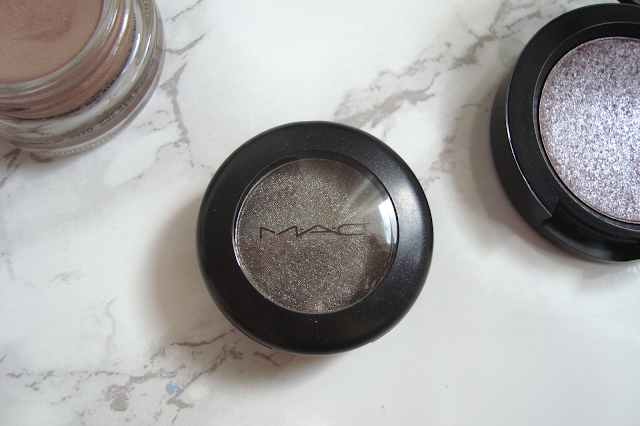 Like all MAC eyeshadows, this shade is no different. 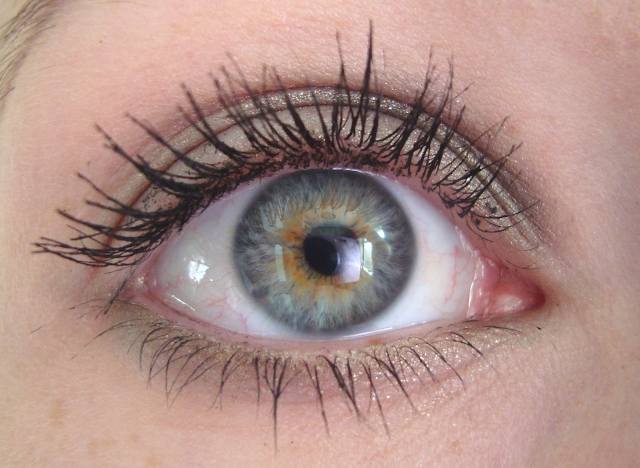 Greensmoke is incredibly pigmented, shimmery and beautiful. Thank you, MAC! 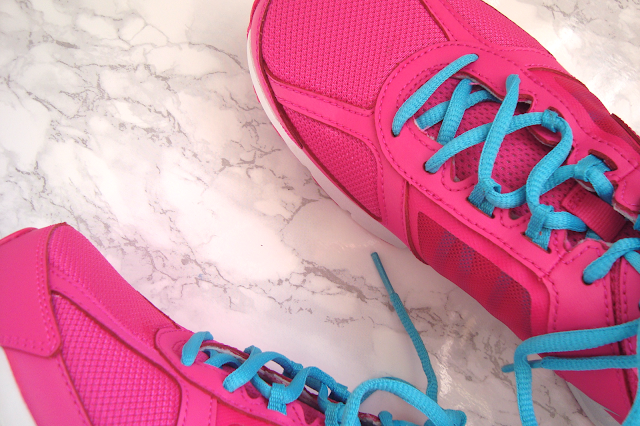 Everyone knows the most perfect way of getting back into exercise after a while is by buying some lovely new shoes. Okay they may not be a chunky cut out boot but trainers still count. I am really lazy when it comes to exercise. I will do one sit-up then expect results immediately. I don't go to the gym and I go for a run about once a month before getting a stitch and walking home again for a nice little sit down and a relax after all of my hard work. When I get into the mood of running then I will go nearly every day until I get bored, stop, then don't do it again for another few weeks. The only reason why I go for a run around my local park is because it is free. I do not enjoy it. I do not enjoy the fresh air. I do not particularly revel in my surroundings. So, why not go to the gym instead? The gym has a variety of different exercises, some of them even involve sitting down which sounds quite nice. I have been meaning to get a gym membership for about 6 years now. I say I will but I never do. That was until I was showed around one recently and I thought "wow what a great idea this is" and was about to sign up there and then until the nice young man told me I had to pay a £75 joining fee. I said I would think about it, and I really have, I do want to join. But I was so overwhelmed by the gym experience that I haven't been back since as I am scared. I then told myself I will join the gym. I will. I just need to buy all of the right clothes first. I slowly started buying some tops, crop tops and sports bra. The final two items on my list were running trainers and a nice swimming costume for the rather inviting swimming pool they have there. I have been looking a pair of trainers for a while until I found the Nike Air Relentless 3 Trainers. 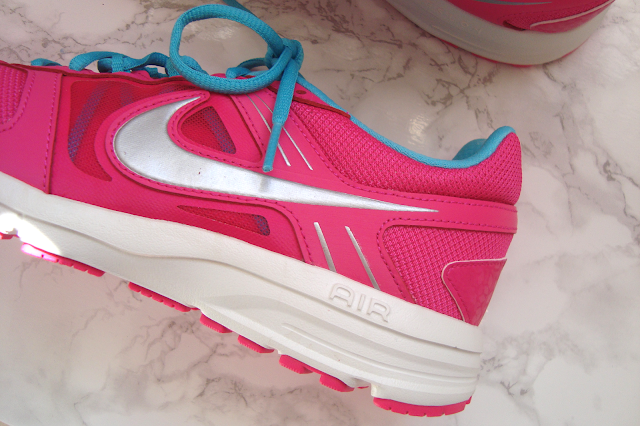 I found them in a Nike Factory store for £35 and I was drawn to them because they are hot pink. I don't usually wear pink, in fact I have three items of pink clothing in my entire wardrobe, but these are lovely. 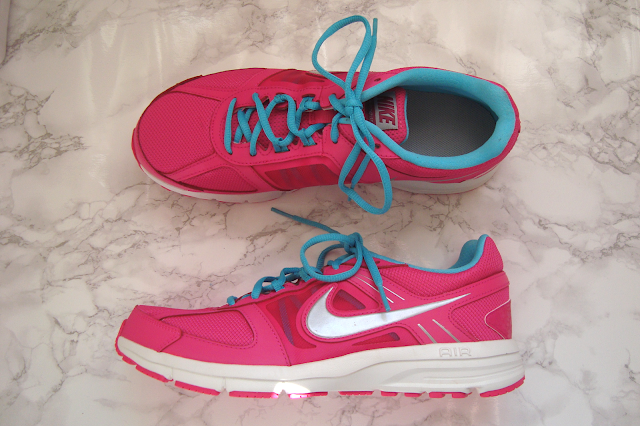 If I were looking for excuses not to wear them it would be that they are too pretty to run in! 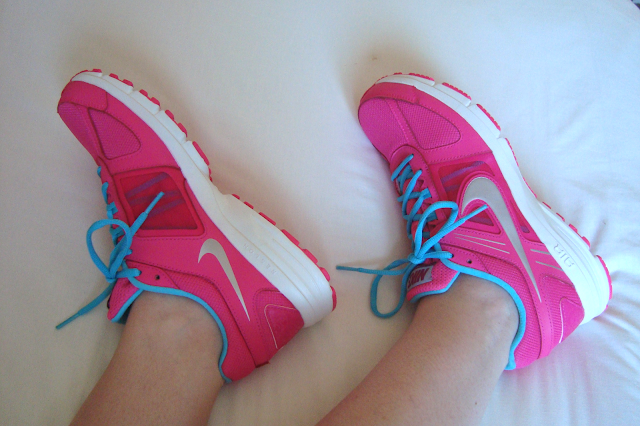 So, I have my trainers, all I need now is my swimsuit. I have bought a few recently but had to return all of them as they have been unsuitable for various reasons so I am still on the hunt. I will join the gym, regardless. I will. Trust me.